A plan to secure the mothballed Redcar SSI plant's future return to steelmaking has been submitted to its official receivers. The plant's Thai parent company was granted approval to wind up its UK arm with the loss of 1,700 jobs. Redcar Labour MP Anna Turley said the latest proposal "would pay for itself". Businesses who are "very highly engaged with the plant... are willing to put in substantial amounts of their own money to keep it running", she said. County Durham coal production and distribution company Hargreaves Services is behind the plan, the BBC understands. A task force including businesses and the local authority has been set up in response to the Redcar closure. Business Secretary Sajid Javid said he could not intervene to keep the plant going but would help workers find new jobs. Speaking on BBC Sunday Politics Mr Javid there was no guarantee putting taxpayers' money into keeping the coke ovens going "would help a single British worker". "It would have helped banks in Thailand and I'm not going to use British taxpayers' money to bail out Thai banks," he said. He conceded unemployment on Teesside was about 9%, significantly higher than the national average, but said there was "lots of opportunity". The government has announced an aid package of "up to £80m" for those affected but ruled out state intervention at the plant. The official receiver should "maximise the value" of the plant which was "worth a lot more if it's properly mothballed and can be bought", Ms Turley said. The coke ovens are essential for any future production on the site. 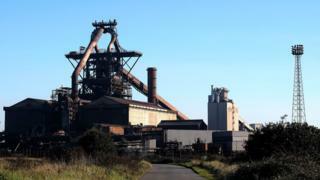 Evidence from France, Germany and Italy suggested UK steel making could be profitable in the future, Ms Turley said. "We are going to have to deal with the dumping of steel from China but steelmaking in the UK is still viable," she said.